Turbine Business Park is included within the North East Enterprise Zone, known as the A19 Ultra Low Carbon Vehicle Corridor. The benefits of the Enterprise Zone, comprise ease of planning through Local Development Orders and enhanced capital allowances for plant and machinery. It was announced in the Budget 2011 that ‘Enterprise Zones’ would be created in areas within the United Kingdom with high economic potential. The North East LEP has 10 sites within 3 clusters. Turbine Business Park falls within the cluster known as the A19 Ultra Low Carbon Vehicle Corridor (A19 ULCV). The North East LEP is one of a limited number of Enterprise Zones which has been selected to benefit from a potential pool of £300m of Enhanced Capital Allowances (‘ECA’) on items of significant capital investment incurred between April 2012 and March 2017. Capital allowances are a form of tax relief that is available on amounts a business spends qualifying capital items. They can be taken every year, as a percentage of what you have spent, on a reducing balance basis, until fully relieved. Under the current standard Capital Allowances system, there are a variety of rates depending on the type of capital item(s), but the most common rates for a normal business are 18% for plant and machinery and 8% for integral features, for the tax year 2012-2013. Therefore, a business spending £50m on plant and machinery would have £9m (18%) taken off their taxable profit in the first year of purchasing their assets, assuming that their profit exceeded £9m, and the tax rate was 25%, would mean a cash-flow benefit of £2,250,000. 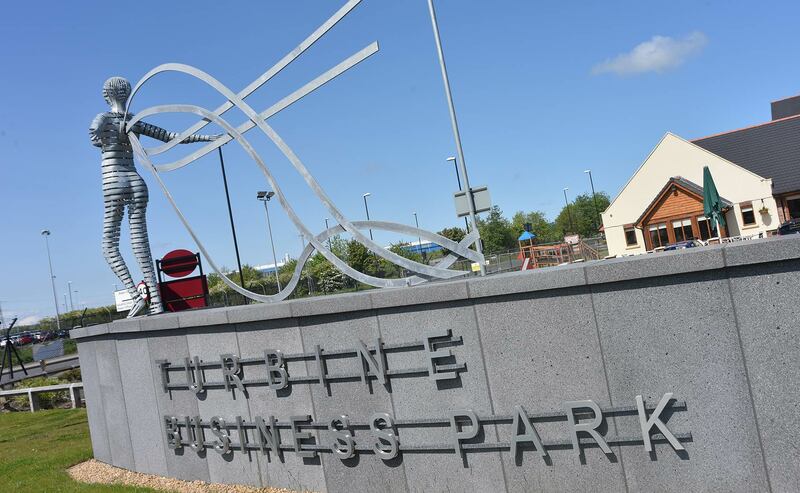 The 'ECA' available in the Enterprise Zones such as Turbine Business Park, will allow those who incur qualifying expenditure a 100% capital allowance in the first year of purchasing their assets, as opposed to the 18% that would normally apply. Company A expends £50m on qualifying capital items, and the company's profit was £50m or greater the 'ECA' cash flow benefit would be the full £12.5m in the first year of purchasing their assets ie. the saving of 25% corporation tax. If the profit made by Company A was £25m in the first 2 years, the 'ECA' benefit would be £6,250,000 in each of those years. If the profit made by Company A was £10m pa for the 5 years following the eligible expenditure the 'ECA' benefit would be £2,500,000 in each of those years. Where the company makes a trading loss for tax purposes and the loss is not offset against other group profits or carried back, it can be carried forward indefinitely to be set against taxable profits from the same trade in future accounting periods. Therefore, the company will gain the cash flow benefit of the ECA's when it starts to make taxable profits. The Enhanced Capital Allowances provides significant cash flow benefits.